Dot is the only girl in a family of boys. She is the sister of Big Baby and Charlie. They were brought in when their owner lost his job and was threatened with eviction if he did not rehome his rabbits. Although she is the only girl, she sure can hold her own! Although a bit shy at first, she is full of personality and loves her toys. Her favorites are wooden toys and any toy that she can nibble on or pick up and throw, she has great skills. 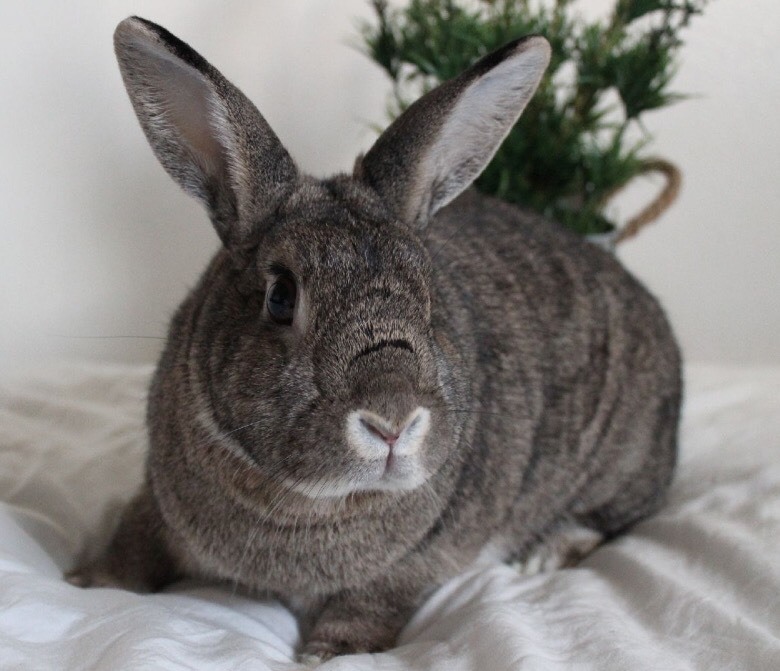 Adopt this sweet bun and teach her how to play bunny basketball!